Schlock-Wire: Scream Factory Unfurls The Details For THE LEGACY On Blu-Ray – Schlockmania! 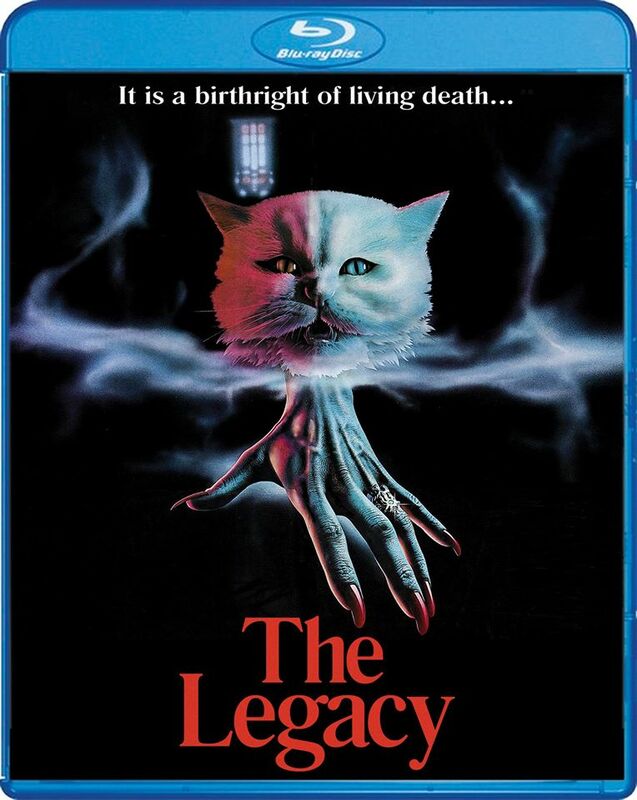 It is a birthright of the living death…Scream Factory proudly presents the Blu-ray debut of The Legacy on September 15, 2015. This release comes complete with a new HD transfer and bonus features, including new interviews with film editor Anne V. Coates and special effects artist Robin Grantham. How far would you go to inherit everlasting life? When Margaret (Katharine Ross, The Stepford Wives) and her boyfriend Pete (Sam Elliot, Frogs, Road House) have a car accident in the English countryside, the other driver offers to take them to his lavish country estate to make amends. But once there, they are surprised to learn that all of the other houseguests are already expecting them! It’s not long before the couple’s fear turns into terror when the guests (including Roger Daltrey, Tommy) begin dying in unspeakable ways. Now it’s clear, the true master of the house is a supernatural force that will stop at nothing to find the rightful heirs for an unimaginably horrible legacy.